The second edition of the LET’S CEE Film Festival started in the presence of the Austrian actor Karl Markovics (who plays the starring role in the opening film) and many other high-class guests with the Serbian-German-Ukrainian coproduction Eastalgia at Urania on 13 September. Over the following eight days, a selection of 64 outstanding productions from Central and Eastern Europe were presented at the long-standing Viennese cinemas Urania, Actor’s Studio, Gartenbaukino and Filmmuseum. Overall, the organisers were able to welcome 52 film guests from Central and Eastern Europe, among them more than two dozens of directors. The best known names included the legendary Russian director Alexander Sokurov, who personally presented a retrospective of his work, as well as Oscar-winning István Szabó from Hungary and Allan Starski from Poland. 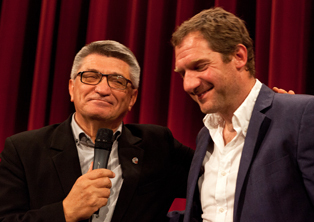 Further, the Academy Award-winning film director Stefan Ruzowitzky from Austria also accepted the invitation. A Feature Film Competition, a Documentary Competition and a Short Film Competition were part of the LET’S CEE Film Festival 2013. 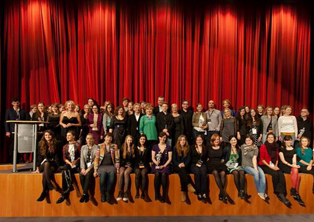 The creators of overall 21 productions made a run at one of the Urania statuettes and a cash prize of 1,500,- EUR each. At the award ceremony on 21 September, the Romanian film Domestic (in the presence of the protagonist Ioana Flora), the Bulgarian documentary The Last Black Sea Pirates and the Estonian short film Distance (in the presence of both directors) were awarded as the winning films. The two-time Oscar winner Branko Lustig was honoured for his life's work. In addition to film screenings and side events, LET'S CEE Master Classes (implemented in cooperation with the prestigious Andrzej Wajda Film School in Warsaw) were held for the first time in 2013. 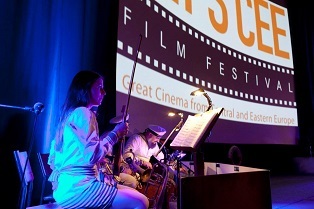 The 68 screenings during the festival week were attended by over 9,600 people.